Brand: Wabash Valley Farms WVF-77801 Units: 5.2 oz. 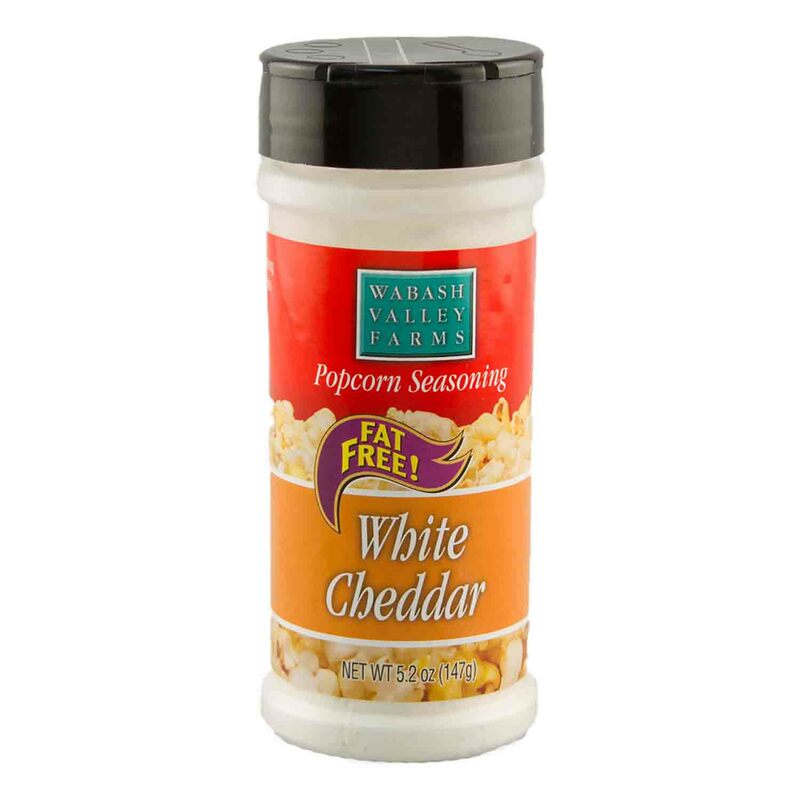 jar This white cheddar seasoning will tantalize your taste buds like never before. Developed specifically for the gourmet popcorn lover, we've used a creamy white cheddar cheese to create an irrestible treat that is sure to put you into sensory overload. This white cheddar seasoning will tantalize your taste buds like never before. Developed specifically for the gourmet popcorn lover, we've used a creamy white cheddar cheese to create an irrestible treat that is sure to put you into sensory overload. Ingredients: Whey, Salt, Buttermilk, Yeast Extract, Cheese Powder [Cheddar Cheese (Milk, Salt, Cheese Cultures, Enzymes), Whey, Buttermilk, Salt, Disodium Phosphate], Cheese Powder [Parmesan Cheese (Part-Skim Milk, Cheese Culture, Salt, Enzymes), Whey, Buttermilk, Sodium Phosphate, Salt], Cheese Powder [Romano Cheese (Part-Skim Milk, Culture, Salt, Enzymes), Disodium Phosphate], Citric Acid, Cheese Powder [Blue Cheese (Milk, Salt, Cheese Cultures, Enzymes), Diosodium Phosphate, Sodium Citrate), Garlic Powder, Spices, Natural Flavors, Silicon Dioxide.